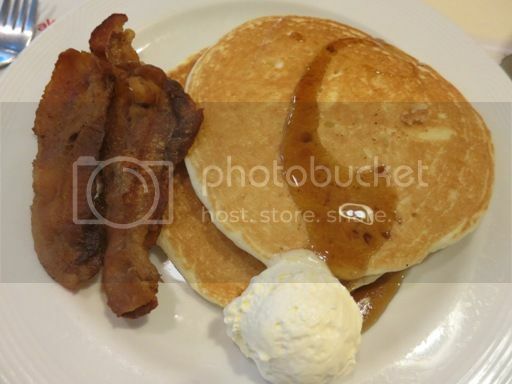 I’ve already featured Pancake House in my food blog Delight My Appetite a couple of times already. That’s because when we can’t decide where to eat, it’s one of our safest bests. It’s also undeniably one of our favorite restaurants. They offer a wide offering of foods that caters to adults and kids alike. 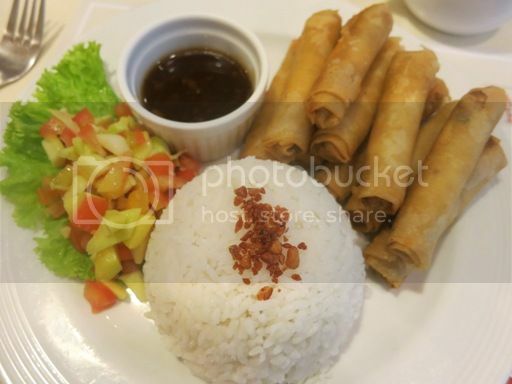 We had dinner again at Pancake House in Robinsons Galleria last March 17, and we ordered the following: Bacon and Cheese Medley, Fish Rolls, and Spaghetti with Meat Sauce and Mocha Milkshake for our son. Hubby enjoys ordering Pancake House’s Pancake Medley, one of their bestsellers. The last time we visited Pancake House, he had Classic Country Medley, but this time, he chose to have the Bacon and Cheese Medley which has 2 pieces of cheese pancakes with sunny-side up egg, crispy bacon strips and juice or coffee. It didn’t take him long to finish his meal, which meant only one thing: he liked what he ordered. I went for these healthier spring rolls, Fish Rolls. As the name suggests, they’re made of fish instead of pork. It was served with garlic rice and tangy mango salsa. The first thing I noticed was that the serving was huge; ten pieces of fish spring rolls were more than my belly could take, so I had to share some with hubby. They’re hot and crunchy, an indication that they were freshly cooked. I should have put some salt in my mango salsa, though, because it was a bit too sour for me. 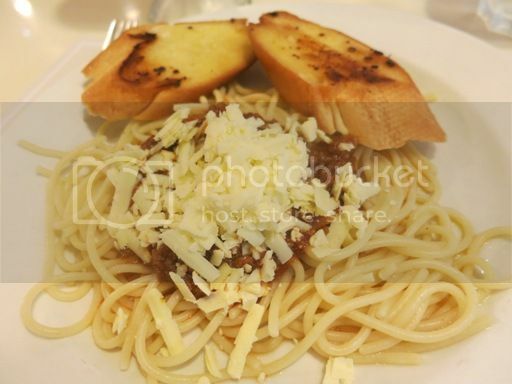 This is Pancake House’s best-selling Spaghetti with Meat Sauce. Our son liked it so much because it was really flavorful; I loved it, too. I think the secret’s in the sauce. We keep coming back to Pancake House for this. You guessed it right. This Mocha Milkshake was for the little boy. He simply couldn’t resist those chocolates and marshmallows and the sweet mocha flavor of this milkshake. 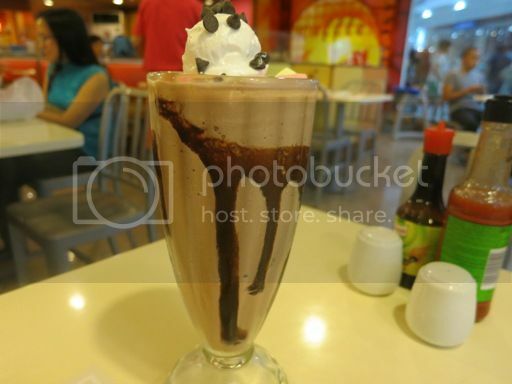 This entry was posted in Pancake House, Robinsons Galleria. Bookmark the permalink. I tried Pancake House in Baguio a long long time ago. What I love about it is that they serve pancakes anytime. Yum! ← Kids, Gear Up for Bonakid Choco Boost’s Amazing Toy Adventure Promo!